John Dominic Crossan: Jesus the Cynic Philosopher — The Contemplative Life. Of the paradigms presented in this series, the first three – the Orthodox/Conservative Jesus, the Wisdom/Liberal Jesus, and the Apocalyptic Jesus – are, in my opinion, the dominant options in the field. The next two scholars I will look at, John Dominic Crossan and Reza Aslan, either offer distinct nuance to a major paradigm (Crossan to the Wisdom/Liberal Jesus paradigm), or a unique and esoteric take on the historical Jesus (Azlan and his “Jesus as Political Revolutionary” view). It is fairly common stock for the birth narratives of Matthew and Luke to be seen as pious fictions which do not seek to display historical events, but rather the significance of Jesus. For instance, Jesus of Nazareth is portrayed as being born in Bethlehem in order to fulfill prophecy; Matthew has Jesus' family go to Egypt and then return in order to portray Jesus as a new Moses, etc. Crossan is of this mind, seeing little history in the infancy narratives. He also sees the virgin birth not as historical, but instead as a direct comparison and challenge to Roman imperialism, as the emperors were also thought of as "divinely conceived," and divine themselves. 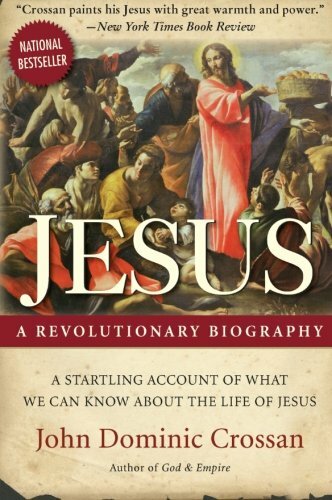 For Crossan, it is the fact that Jesus, a peasant, is thought of as divine that was a shock, not simply the fact that he was portrayed as divinely conceived. "It is not absurd, in Celsus’s mind, to claim that Jesus was divine, but it is absurd to claim that Jesus was divine. Who is he or what has he done to deserve such a birth? Class snobbery is, in fact, very close to the root of Celsus’s objection to Christianity." Historically, Crossan finds virtually nothing in the early life of Jesus that "actually happened," rather the stories were shaped to show his significance. "It is not enough, therefore, to keep saying that Jesus was not born of a virgin, not born of David’s lineage, not born in Bethlehem, that there was no stable, no shepherds, no star, no Magi, no massacre of the infants, and no flight into Egypt. All of that is quite true, but it still begs the question of who he was and what he did that caused his followers to make such claims." One enduring topic within historical Jesus studies is the relationship between Jesus and John the Baptist. Clearly, at some point, Jesus was a student or disciple of John (There is no other reason for the gospels to portray John as baptizing Jesus, as this is an embarrassment – John naturally being seen as "greater than Jesus," and Jesus, needing to be baptized, being seen as sinful. Both of these issues are implicitly addressed in the gospels with John protesting, saying "you should be baptizing me," and Jesus consenting to baptism, saying "it is fitting to fulfill all righteousness."). But what was John's message? And did Jesus take John's message and make it his own? Or did he eventually reject the thought of his teacher? For Crossan, John preached the "kingdom of God" as an apocalypticist. There are significant differences in how scholars use this term. For Schweitzer, Allison, Ehrman, etc. an "apocalyptic expectation" is an expectation of a literal end of the world scenario. The dead are raised, there is a final judgment, the righteous inherit the incorruptible Kingdom of God – Heaven on Earth. The way Crossan uses the term here, he believes that John, as an apocalypticist, expects a Jewish overthrow of Rome. Normal history continues, but Israel achieves independence. "John was, then, an apocalyptic prophet like, but also somewhat unlike, many others to follow in the decades leading up to the First Roman-Jewish War in 66 C.E. Jesus was baptized by him in the Jordan. John went, in other words, out into the Trans-Jordanian Desert and submitted himself to the Jewish God and Jewish history in a ritual reenactment of the Moses and Joshua conquest of the Promised Land. He became part, thereafter, of a network within the Jewish homeland awaiting, no doubt with fervent and explosive expectation, the imminent advent of God as the Coming One. Presumably, God would do what human strength could not do—destroy Roman power—once an adequate critical mass of purified people were ready for such a cataclysmic event." "Jesus changed his view of John’s mission and message. John’s vision of awaiting the apocalyptic God, the Coming One, as a repentant sinner, which Jesus had originally accepted and even defended in the crisis of John’s death, was no longer deemed adequate. It is not enough to await a future kingdom; one must enter a present one here and now. By the time Jesus emerged from John’s shadow with his own vision and his own program, they were quite different from John’s, but it may well have been John’s own execution that led Jesus to understand a God who did not and would not operate through imminent apocalyptic restoration." In contrast to John the Baptist, Crossan believes Jesus preached an exclusively "present Kingdom of God," one which could be entered into in the here and now. "Herod Antipas moved swiftly to execute John, there was no apocalyptic consummation, and Jesus, finding his own voice, began to speak of God not as imminent apocalypse but as present healing." "An alternative to the future or apocalyptic Kingdom is the present or sapiential vision. The term sapiential underlines the necessity of wisdom—sapientia in Latin—for discerning how, here and now in this world, one can so live that God’s power, rule, and dominion are evidently present to all observers. One enters that kingdom by wisdom or goodness, by virtue, justice, or freedom. It is a style of life for now rather than a hope of life for the future." "He was neither broker nor mediator but, somewhat paradoxically, the announcer that neither should exist between humanity and divinity or between humanity and itself. Miracle and parable, healing and eating were calculated to force individuals into unmediated physical and spiritual contact with God and unmediated physical and spiritual contact with one another. He announced, in other words, the unmediated or brokerless Kingdom of God." Jesus' vision of the Kingdom was characterized by open table fellowship (Jesus ate and associated with sinners, prostitutes, and outcasts), physical healing, and a radical egalitarian nature. It did not need to be "brokered" by the Temple, but was immediately available to all. Crossan ends his life of Jesus with a look at Jesus’ death and resurrection. Jesus enters Jerusalem and "cleanses" (or "symbolically destroys") the Temple, which, being a dramatic critique of powerful Temple elites, is enough to get him arrested. Through the cooperation of the Jewish court and some element of Roman government (Pontius Pilate or otherwise), there is a decision made to crucify Jesus. Jesus thus dies on a cross outside of Jerusalem. After Jesus' death, Crossan, surveying the practice of crucifixion in Rome, concludes that the tradition of Joseph of Arimathea being given access to Jesus' body is pure fiction. Jesus was either left on the cross, exposed to "the dogs" and the elements, or buried in a shallow grave, exposed to the same wild beasts. Jesus' body thus becomes unrecognizable and lost. After this event, the disciples, who scattered at Jesus' arrest, begin to have visions or see "apparitions," similar to that of Paul (who counts his encounter of Christ among those of the disciples). There is no concern to find Jesus' body as the disciples continue to experience the ongoing power of Jesus in the community. The empty tomb narratives are later inventions. "Jesus has been interpreted in this book against an earlier moment in Judaism’s encounter with Greco-Roman imperialism. It is not, however, the elite, literary, and sophisticated intellectual encounter of a Philo of Alexandria. It is, rather, the peasant, oral, and popular physical encounter of what might be termed, if adjective and noun are given equal weight, a Jewish Cynicism. Pagan Cynicism involved practice and not just theory, life-style and not just mind-set, in opposition to the cultural heart of Mediterranean civilization—a way of looking and dressing, of eating, living, and relating that announced its contempt for honor and shame, for patronage and clientage. Jesus and his first followers fit very well against that background; they were hippies in a world of Augustan yuppies. Greco-Roman Cynics, however, concentrated primarily on the marketplace rather than the farm, on the city dweller rather than the peasant. And they showed little sense, on the one hand, of collective discipline or, on the other, of communal action. Jesus and his followers do not fit well against that background. And both similarity and difference must be given equal respect. The historical Jesus was a peasant Jewish Cynic. His peasant village was close enough to a Greco-Roman city like Sepphoris that sight and knowledge of Cynicism are neither inexplicable nor unlikely. But his work was among the houses and hamlets of Lower Galilee. His strategy, implicitly for himself and explicitly for his followers, was the combination of free healing and common eating, a religious and economic egalitarianism that negated alike and at once the hierarchical and patronal normalcies of Jewish religion and Roman power. And, lest he himself be interpreted as simply the new broker of a new God, he moved on constantly, settling down neither at Nazareth nor at Capernaum. He was neither broker nor mediator but, somewhat paradoxically, the announcer that neither should exist between humanity and divinity or between humanity and itself. Miracle and parable, healing and eating were calculated to force individuals into unmediated physical and spiritual contact with God and unmediated physical and spiritual contact with one another. He announced, in other words, the unmediated or brokerless Kingdom of God." Jesus was a cynic philosopher in the sense that his vision of the Kingdom of God stood against the power structures of his society. Crossan's Jesus does not expect the "apocalyptic Kingdom of God," but rather believes in an exclusively present Kingdom, one that can be entered into at any moment, anywhere. It is a "brokerless Kingdom," and thus Jesus himself makes no claim to be its King. Jesus simply announces the possibility of a different way of life which stands in contrast to both the Temple elites and Roman imperialism.